W. ADAM MANDELBAUM, ESQ. has been a licensed attorney in New York since 1981. In the early 80’s he brokered residential properties in the Elmont-Franklin Square area, and provided mortgage financing to clients when the going rate was as high as 19%. From the 80s to the 90s Mandelbaum brokered mortgages for his clients, along with his law practice endeavors. He also sold Title Insurance to other attorneys. 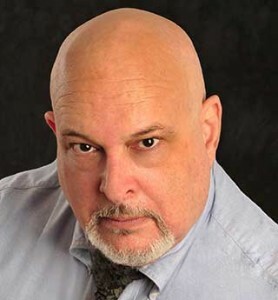 In the mid 90s he served as a New York State approved instructor for real estate licensing and continuing education courses, with Long Island Real Estate Training. In the 2000s Mandelbaum brokered office space in Oyster Bay, and in his capacity as attorney represented the top landlords in Oyster Bay, including Island Properties LLC and Cozy Realty. He has successfully represented clients in zoning matters in Oyster Bay and Oyster Bay Cove. Either as attorney, broker, or mortgage broker, Mandelbaum has the experience of being involved in approximately 500 real estate transactions, both residential and commercial. A resident of Oyster Bay for more than 25 years, Mandelbaum takes a “no bull” approach to deal making and from his experience all around the closing table, brings a range of knowledge and skill not found in the average broker. He served as a board member for the Nassau County Legal Aid Society in 1999 and on the board of the Oyster Bay Chamber of Commerce in 2005. Apart from his professional experience, Mandelbaum is internationally published on espionage subjects and military history, a decorated USAF veteran, and since 1979 has been a member of the Association of Former Intelligence Officers.